Airtel Digital TV is the DTH service from Bharti Airtel has launched Airtel Pocket TV mobile application that enables customers to stream and watch favorite TV channels wherever on the go. It offers to watch 150+ live TV channels and also you can watch earlier episodes of 13+ channels, over 10,000 hours library of video content, thousands of videos and movies on your mobile or tablet. 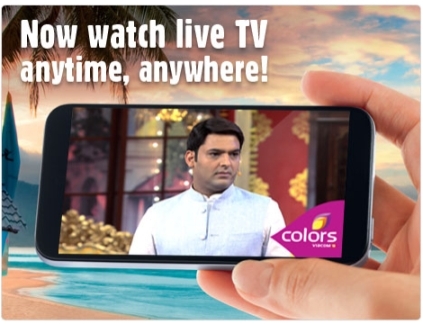 Now you carry only the Pocket TV application with your mobile for watching live channels. Airtel Pocket TV app is now available for an introductory offer of Rs. 60 per month. You can see good streaming quality if you have good 3G or Wi-Fi connection. There is some channels is now limited to existing Airtel Digital TV subscribers and customers only. The app comes with many features including set alarms, filter channels and videos by category. 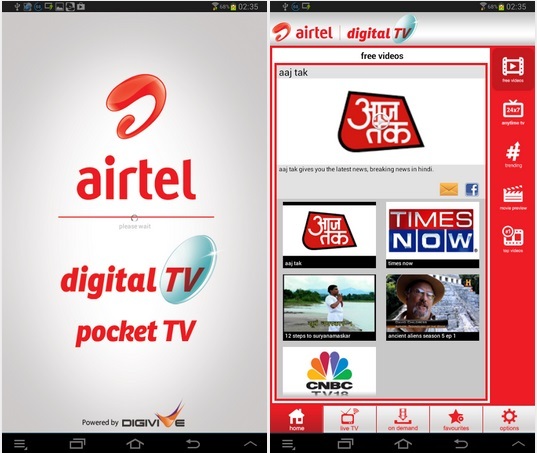 Customers can download the Airtel Digital Pocket TV app that is available for free on Google Play Store. The app is compatible with any smartphone and tablets that run Android version 2.1 and above. Once you have installed the app in your device, you have to activate the service by sending the SMS to 54325 from your registered mobile number. Also Read : How to Get Windows 8 Metro User Interface in Windows 7?